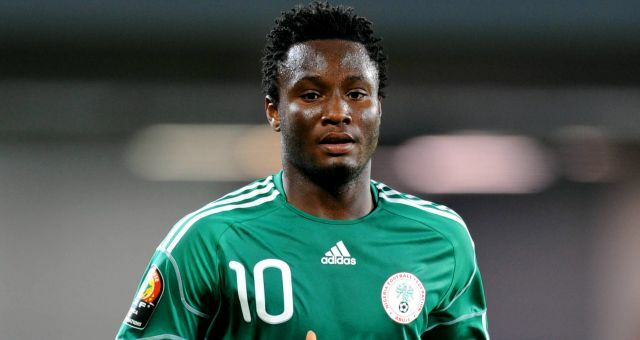 Chelsea midfielder John Mikel Obi has been named in Nigeria's final 18-man squad for the 2016 Olympics in Rio. The 29-year-old Nigeria captain is one of the squad's permitted quota of three players over the age limit of 23. Watford's Odion Ighalo, Kelechi Iheanacho of Manchester City and Arsenal's Alex Iwobi miss out having not been released by their clubs. The men's tournament - won by Mexico at London 2012 - begins on 3 August, two days before the opening ceremony. Those selected for the Games would miss much of the English pre-season and potentially the start of the Premier League and this has proved a sticking point between clubs and country. With many teams not releasing players goalkeeper Daniel Akpeyi, who plays in South Africa, is the only other overaged player on the Nigeria list for The Games. However, Mikel is excited by the prospect of playing in Brazil, posting on his Instagram page: "First part of Chelsea pre-season done. Off to Atlanta to join the Nigeria team for the Olympics 2016." Nigeria, who have been drawn in Group B of the Rio Games alongside Sweden, Colombia and Japan, boast a strong Olympics record. They made Olympic football history in 1996 by becoming the first African team to win the gold medal. Nigeria also finished runners-up at the 2008 Beijing Olympics, under coach Samson Siasia, who will again take charge in Brazil. Meanwhile, Siasia's car was broken into over the weekend in Atlanta, Georgia, where the Nigeria team is training, and items including his credit cards, two mobile phones and the phone of his personal assistant Abu Daniel were stolen. "It's one of the unfortunate things in life but we are focusing on the Olympics." Siasia told BBC Sport.